Garden Photo of the Day: Where have you gone, Lycoris squamigera? Where have you gone, Lycoris squamigera? Somewhere in my disheveled files marked "Garden Ideas", I have a page torn from a Southern Living magazine. 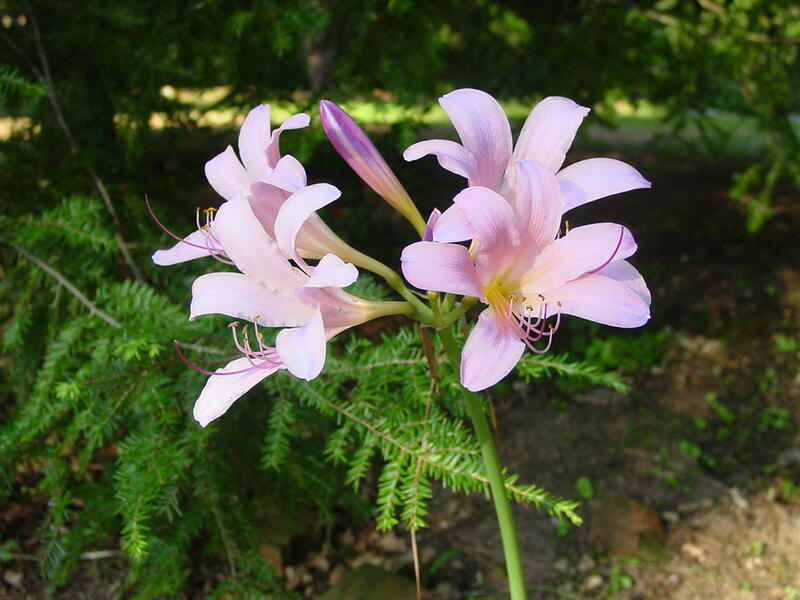 The photograph shows a garden in either Alabama or Mississippi where every year, dozens of naked ladies (Lycoris squamigera) pop up in the lawn. The bulbs have been there for decades. When we used to go to Pawleys Island, South Carolina, I would see rows and rows of pink lycoris like the one pictured above growing on what looked like an abandoned estate. Once, when I passed that way in August, I saw Formosa lilies - lots of them. Finally, when we started going in September, I would see the other lycoris so popular in the South - Lycoris radiata, or red spider lilies. Someone must have lived there who knew all the old-fashioned bulbs that would keep on going. Not long after I moved to this property in August 1973 (could that mean I've been here 39 years? I don't feel old enough! ), dozens of red spider lilies appeared. I was elated. Over time, though, they've diminished greatly. Now, I only have a few come up. I planted the above Lycoris squamigera the year my great-grandparents' 1832 house was sold (at least 15 years ago - maybe more). A passel of cousins got together and bid on the contents of the Southern saltbox, which sits on a hill above the Chattahoochee River in extreme southwestern Fulton County. There was a huge bidding war for a hatrack that, to my mind, looked more Sears & Roebuck than antebellum. I came away with a $1 chair no one else wanted (great lines, but Great Aunt Abby had covered it in mud-colored naugahyde), a nicely beat-up bucket, some sheet music for piano and a milking stool. My cousin Anne and I also dug some Lycoris squamigera. I was thrilled the next July, when the pink fragrant naked ladies came up. The foliage had appeared in winter, then had died down and disappeared. In July, all of a sudden there were the flowers. So, what has happened? Last year, I didn't have a one. Ditto, this year. 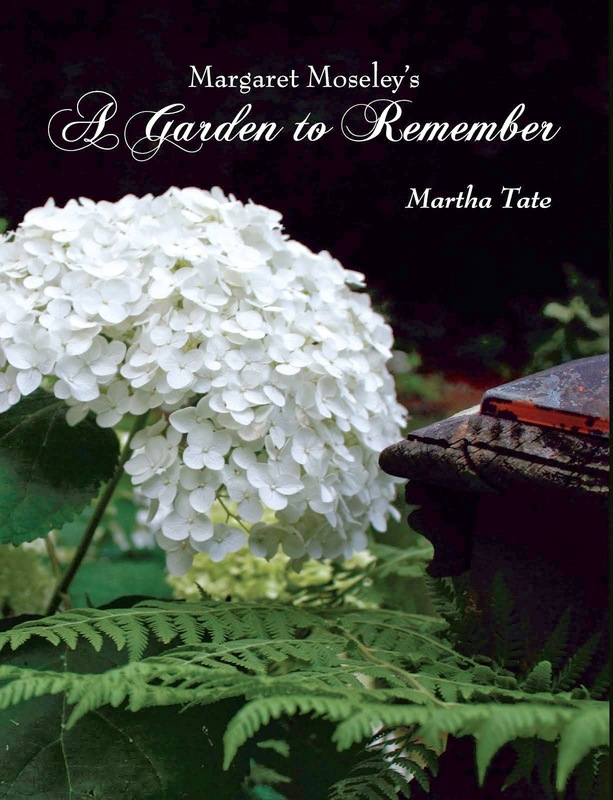 The foliage was thick and plentiful this past winter; I've cut down anything that could have crowded them or blocked the summer sun, so I don't know what the trick is to have them come back like in the yard in Southern Living. Ginny Jarrard, who lives just down the road from my ancestors' home, had several blooming this year. She says there are fewer than usual, though. You read that lycoris aren't very reliable, and that's certainly proven to be true. One year I had maybe a dozen stalks. The next year there was only one. There must be some rhyme or reason to this. Does anyone know what it is?